The frozen food category in past decades established itself as the "fresh" and convenient solution to prepared meals through an expanding combination of product and packaging innovation. However, as consumer perceptions of the freshness and healthfulness of frozen foods wanes and the perceived nutrition and convenience of fresh prepared foods accelerates, the frozen prepared food category is facing a declining future, much in line with the canned foods it displaced decades ago. How are manufacturers preparing for the ascendancy of "fresh" prepared food? A.T. Kearney, a global management consulting firm, examined the changing consumer perceptions, demographic shifts and responses that are redefining the recipe for success in prepared foods. Since 1929, when Clarence Birdseye launched his quick-frozen food business, frozen prepared foods offered consumers a practical alternative to canned foods. The introduction of the microwave for home use dramatically accelerated industry growth in the 1980s. The Ice Age took center stage with superior marks on the perceived benefits of convenience, health, freshness, taste and variety. In the 1990s, as consumers embraced healthy eating, frozen food responded with new lifestyle choices. The very attributes that made frozen foods a successful alternative to canned foods are now more often identified with fresh prepared foods. Consumers gravitate to fresh prepared foods because their environment has not been altered through massive temperature and processing changes. Celebrity chefs and reality cooking shows emphasize fresh ingredients and home cooking. Farmers markets have grown explosively in the past 15 years as consumers have become attracted to fresh and locally grown foods. Fresh is considered the ultimate, convenient, ready-to-eat solution. Savvy consumers frequent Whole Foods for its fresh, unpackaged take-out and Trader Joe's with its branded, restaurant-quality refrigerated meals. Tyson identified the deli as a key opportunity for its own growth and to redefine the grocery store – and for a couple of good reasons. Retailers are seeking an expanded range of product offerings beyond just lunch. Consumers have an enhanced perception of freshness from the deli as most products there are prepared daily. And the deli is becoming a destination for meals to replace restaurant occasions. Twenty-six percent of shoppers indicate they would visit a grocery store just to get something for that night's dinner. In August 2012, Tyson's "Deli Market Refrigerated Meals" launched four varieties within the refrigerated deli section. To date, it has received strong consumer perceptions of taste and quality. More significantly, consumers have demonstrated a willingness to pay a 90 percent premium over comparable frozen meals. These perceptions are impacting the frozen food aisle. Frozen prepared meals are in decline, and the significant attempts at innovation have not been able to regain the consumer's top position in terms of quality and convenience. A surprising number of major food companies reported over the past 18 months that they had experienced sustained volume declines in their core businesses. In 2013, units are forecast to decrease by another 3-5 percent… some recent estimates are inching their way up to the double digits. While investment and accelerated product innovation may slow frozen food erosion in the short term, the accelerating demand for fresh foods will continue to gain share of the consumers' stomachs as shoppers continue to demand what they perceive as healthy and convenient meal solutions in the fresh categories. As consumer perceptions change, two additional factors will define the "fresh age." By 2020, millennials (the generation born between 1982 and 2001) over 25 will be 19 percent of the population and will significantly impact the food-at-home industry. Millennials are seeking value and convenience in their food, but they increasingly opt for fresher and healthier food. Millennials, as a whole, are less brand-loyal and are more willing to seek food outside the traditional grocery store. They are not afraid to purchase food online and purchase "food movement" products, such as organic and locally produced products and meal solutions. This increasingly important consumer base spends nearly 50 percent of its food budget on ready-to-eat solutions, such as take-out products and restaurant meals. They buy more frequently and eat immediately vs. the older generations that buy, store and eat later. Younger shoppers are leaving the frozen food department for other options including some outside the traditional grocery store. As millennials replace baby boomers as the influential consumers of the future, products that are attuned to their preferences and shopping styles will win in the marketplace. As they move into their peak earning years, millennials will indulge in their preferences for specialty, ethnic, organic, natural and fresh products and put pressure on both large mass market companies and large retailers to keep pace with their preferences and needs. René Ouimet is a principal in A.T. Kearney's Food & Beverage Practice. Melanie Schmidt is a partner and a global leader of the firm's Marketing and Sales practice. Dave Donnan is a partner leading the Food & Beverage Practice. A.T. Kearney is a global management consulting firm. Retailers have been quick to respond to changing consumer preferences. Some retailers are aggressively increasing their space devoted to fresh -- up to 40 percent in some store designs. They have limited their range of frozen products and reduced space and promotional support. Fresh prepared foods already represent 52.5 percent of deli sales. This store department is broadening its offerings beyond the classic prepared meal of rotisserie chicken. Deli entrees, sushi, refrigerated/fresh pizza and fresh side dishes all have been increasing by 8-15 percent over the past five years. Retailers are evolving to meet these new consumer preferences and seeking innovative solutions to expand their share of the fresh ready-to-eat market. These emerging trends have the potential to change the entire retail landscape. As the Internet-savvy generation grows, there may be opportunities for new food delivery models to reach and appeal to these consumers. While, a recent A.T. Kearney survey indicated 73 percent of respondents do not currently buy groceries online because they are satisfied with their usual shopping opportunities, the online grocery retailing business has seen success in several European countries and is being tested in parts of the U.S. These online models create opportunities to connect with new consumers and build product loyalty through multiple channels. Companies are naturally cautious about "fresh" food due to many issues surrounding "fresh meal replacement" alternatives in the early 1990s -- including supply chain, shelf life, pricing and distribution concerns. However, since that time there have been significant advancements in food technology giving "fresh" a longer shelf life, and supply chain advances are revolutionizing the speed and scale of food delivery. Go-Big – Invest in fresh manufacturing capabilities while developing a fresh foods supply chain. These capabilities can be achieved through a buy or build strategy via multiple regional acquisitions or developments. While this solution solves some of the challenges retailers face in today's currently fragmented supply network, it involves significant investment and assumes that the previous issues with "fresh" food have all been resolved. Test the Waters – Selectively invest in fresh meal innovation. Partner with regional fresh meals manufacturers to pilot a branded program. This option allows companies to learn consumer and retailer dynamics with low investment. A successful test can be expanded or accelerated through acquisition, but this option contains competitive risks. Frozen-Fresh Delivery – Tailor traditional frozen product supply chain and manufacturing to support fresh offerings. 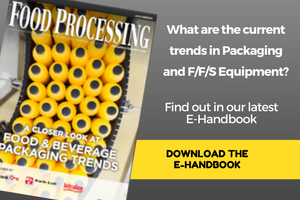 This strategy builds on existing frozen capabilities taking advantage of the fact that 50-60 percent of the manufacturing processes are virtually identical whether the end result is frozen or fresh. Invest in technology to increase shelf life 20-90 days and adapt distribution for cold vs. frozen chain. Technology today is far superior than that in the 1990s, and it has the potential to have as positive an impact that the microwave had on frozen foods. Some well-established food companies are responding to the changing dynamics in the prepared meals sector. Weight Watchers Fresh Meals is a line of fresh (not frozen), portion-controlled, chilled prepared meals manufactured in partnership with Greencore USA, a manufacturer of fresh prepared foods that operates in the U.S. and England. This relationship allows Weight Watchers to leverage its brand recognition in the fresh market and to cater to emerging consumer needs using an already existing fresh foods supply chain. Weight Watchers Fresh Meals are distributed in many major grocery stores in the Northeast, Mid-Atlantic and Midwest, and are also connecting with consumers online at Peapod.com. Costco, one of the leading global food retailers, is constantly growing an already extensive fresh prepared meals department, while reducing its investment in frozen prepared meals. A significant portion of its home-style prepared meals are delivered frozen from the manufacturers in their takeout containers. Costco's employees in their "in-store kitchen" complete the meals by adding the final components, such as cheeses, sauces and vegetables. This approach allows Costco to get the most complex portion of the prepared meal in a non-perishable format, while having the ability to customize the final value-add. For example, the lasagna layers are delivered frozen and preassembled -- this is the complex part of making this meal -- while the differentiating components, Costco's own sauce and cheese, are added in the in-store kitchen. Nestlé's Lean Cuisine Salad Additions adapted the restaurant-style salad for the grocery store by pairing Nestle's frozen food accompaniments with store lettuce. The frozen product is thawed and heated quickly and served on fresh lettuce, creating a restaurant-style experience at home. These four items -- Asian-Style Chicken Salad, Bistro Chicken Salad, Cranberry & Chicken Salad and Southwest-Style Chicken Salad -- are all inspired by restaurant salads, yet priced at a significant savings to a restaurant meal. The required pairing with produce encourages partnerships with retailers. As consumers continue to seek fresh and nutritional food, pressure will grow on food processors, restaurants and retailers to deliver the foods in convenient and economical ways. Partnerships may grow beyond product placement to innovative supply chain integration and joint ventures to deliver restaurant-quality food in retail stores. Bold thinking drove Clarence Birdseye to launch the quick-frozen food industry. Innovative use of existing supply chains prompted Weight Watchers and Tyson to build a branded presence in fresh prepared meals. Costco has leveraged the best of both worlds to create ready-to-eat customized fresh meal solutions not available to its competitors. Creative pairing between frozen and fresh allowed Nestle to create an in-home restaurant meal. Over the next decade, as consumers seek additional fresh and nutritious foods, retailers will seek partnerships with processed food manufacturers that deliver fresh and convenient meal solutions. While retailers are reacting to consumer demands, food processors have been slow to react and adapt, leaving an open window of opportunity. At A.T. Kearney, we believe the trends of the "fresh age" are pivotal and will define the food industry for the coming decades. Bold, innovative and creative thinking will allow savvy food companies to step up to the table and meet the challenge of the "fresh age".